The Carolina Panthers ended the 2015 season with a league best 15-1 mark. 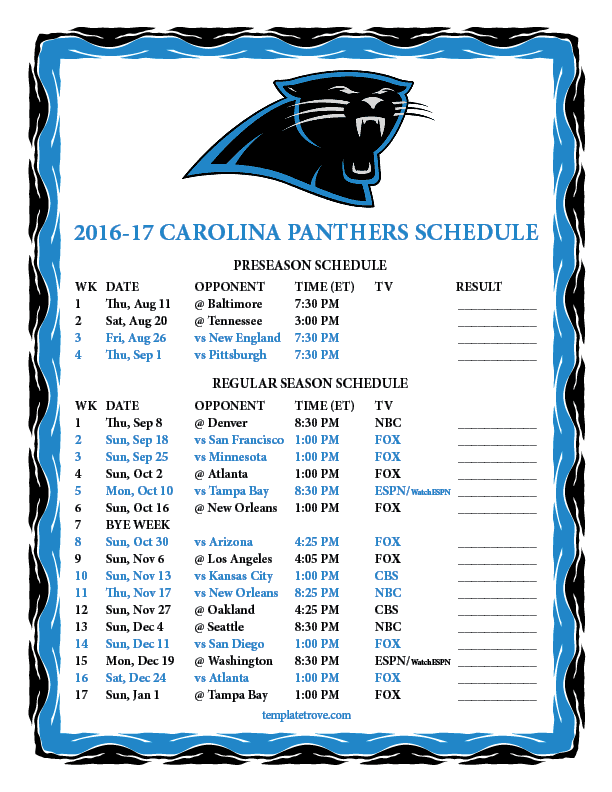 After falling 24-10 in Super Bowl 50 to the champion Denver Broncos, the Panthers are looking to return to the big game this season. Carolina has made the playoffs the last three seasons. 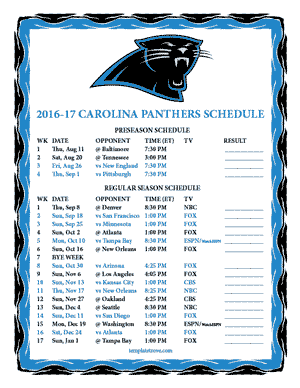 Carolina is a member of the NFC South Division that also includes the Tampa Bay Buccaneers, Atlanta Falcons and the New Orleans Saints. The Panthers get a shot a revenge in week 1's Thursday Night game at the Denver Broncos. They also will be featured week 5 on Monday Night Football at home verses the Tampa Bay Bucs. They also have another Thursday Night game week 11, at home with the New Orleans Saints. Week 15 they will play at the Washington Redskins on Monday Night Football.